1997 was 20 year ago. Let that sink in for a minute. It's hard to imagine that so much that happened that year was 20 years ago already. I've already shared why I think 1997 was the best year in music but the rest of the year was pretty awesome too. 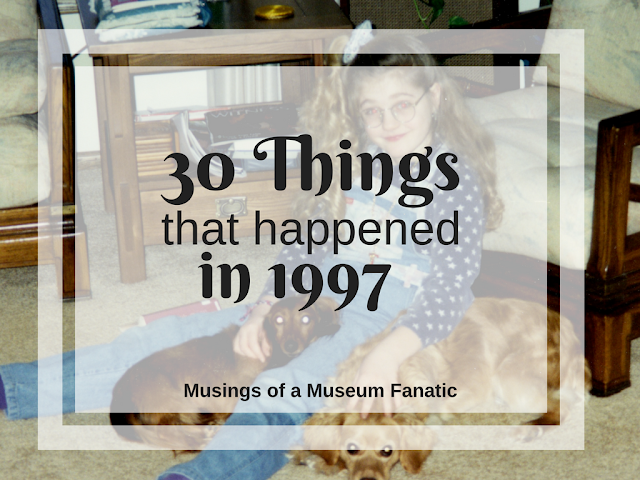 So here are 30 things that happened in 1997. What do you remember the most from that year? Tyra Banks is the first black model to have a solo Sports Illustrated swimsuit issue cover.